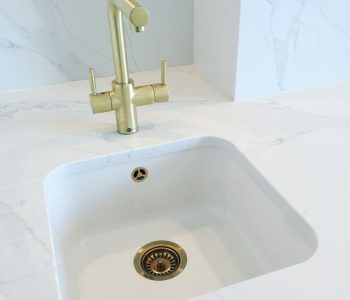 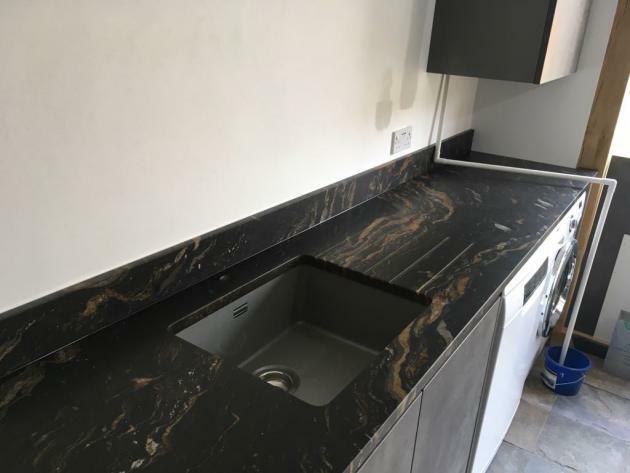 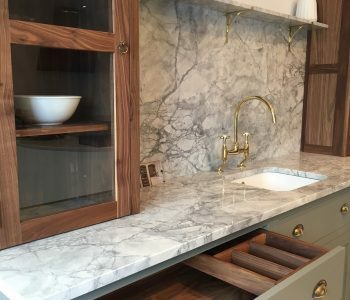 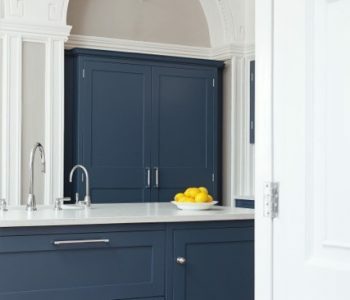 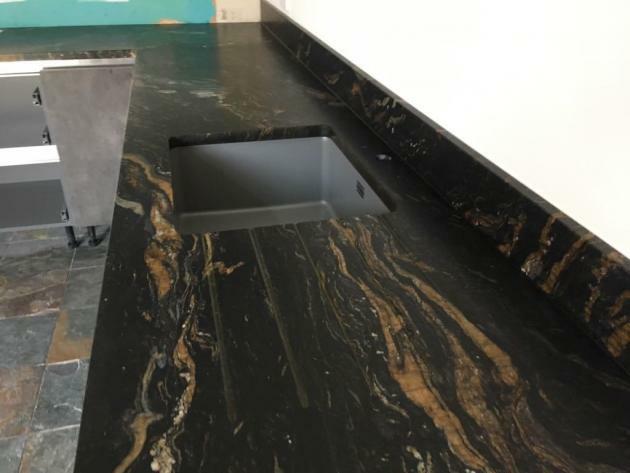 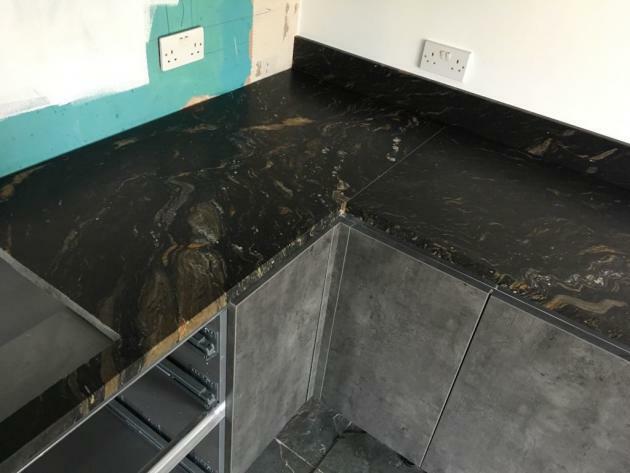 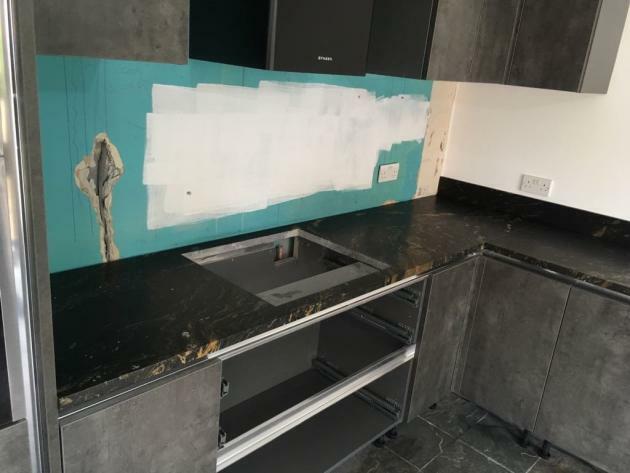 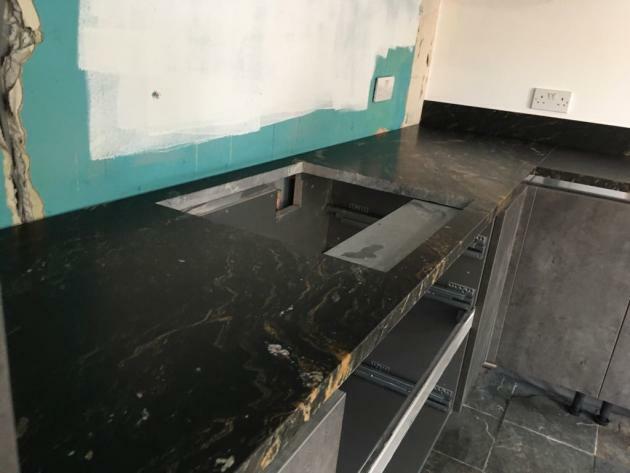 County Stone went to install ‘Stromboli granite‘ worktops to a customers home in Cowplain. 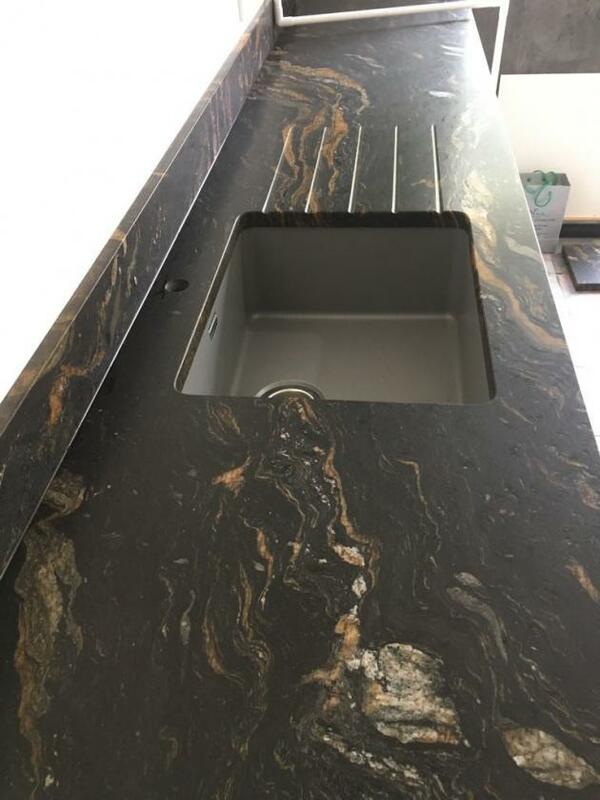 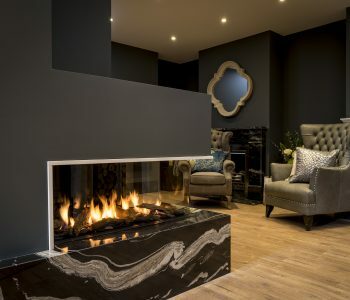 Stromboli granite boasts such exotic elegance and beauty with its volcanic look. 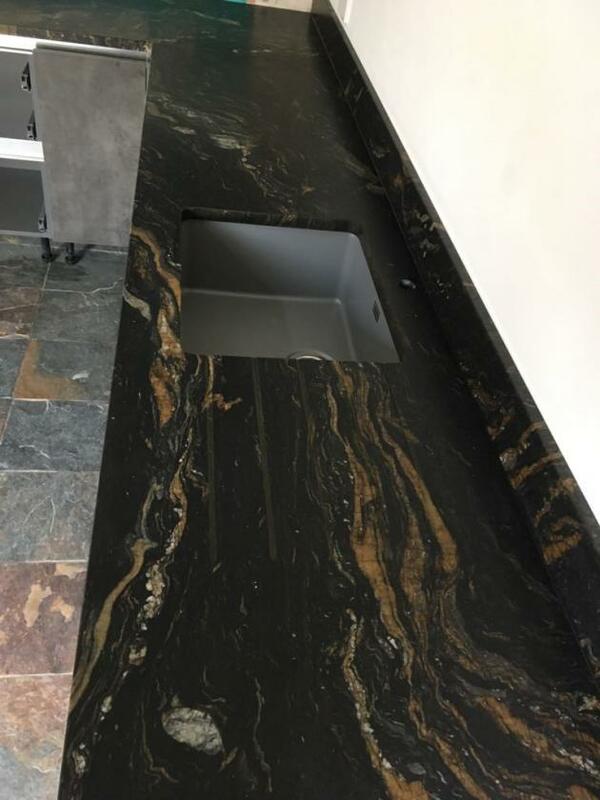 The main surface area of this stone is black with ochre and gold veining streaming throughout the stone, showcasing a marbling affect.